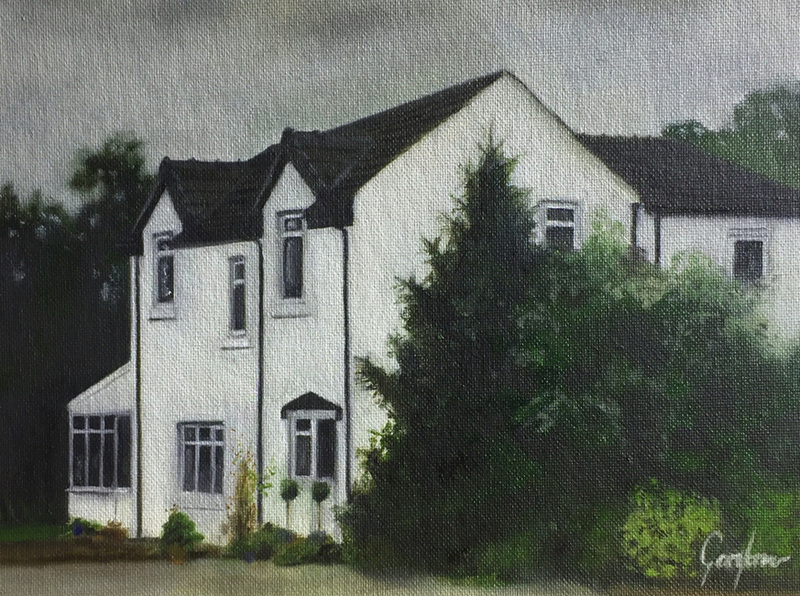 Beautiful house portraits painted from life or photographs. 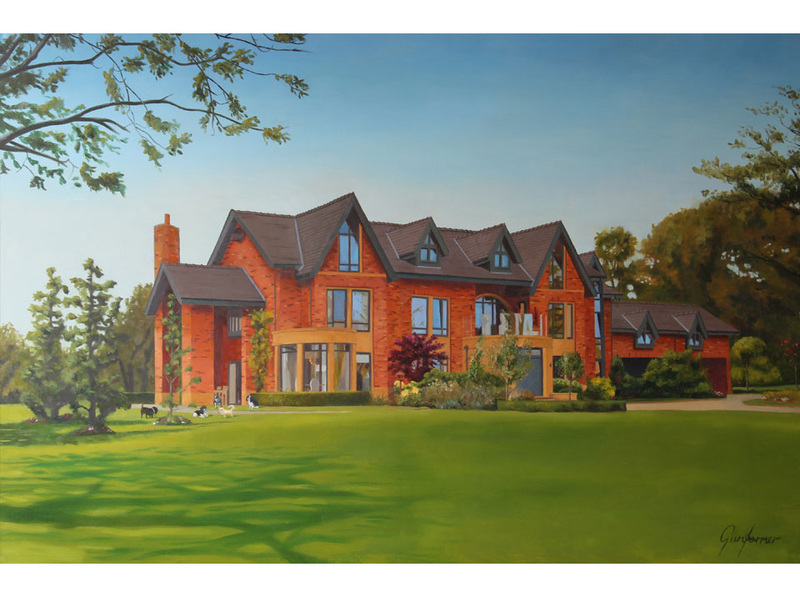 Why Commission a House Portrait? A commissioned painting is timeless. 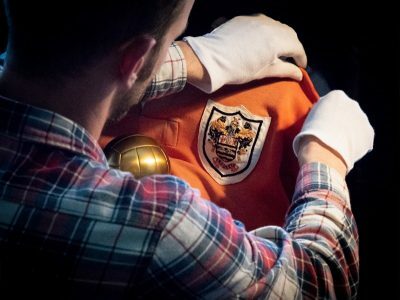 A piece of fine art that is uniquely yours, or a gift to be enjoyed for generations. It can record a special moment, capture the beauty of a place or celebrate a family home. 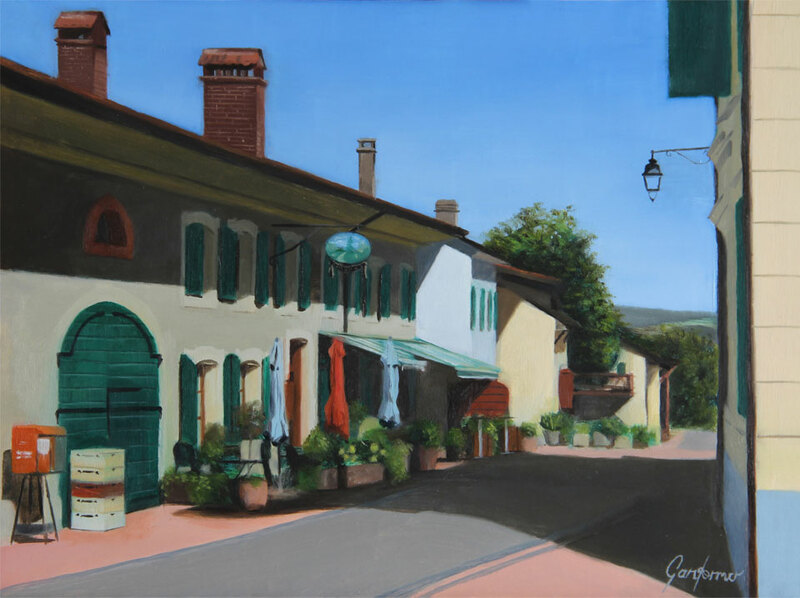 Great paintings of buildings capture the true essence of a place, in a way that portrays what makes them special. From your initial enquiry to the final paint stroke, capturing a brilliant likeness of your home or special place is at the heart of my work. 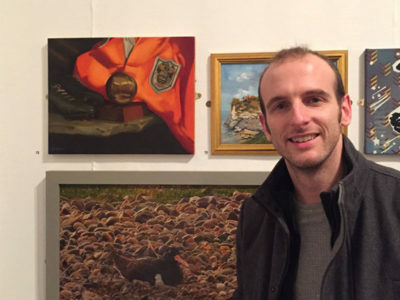 I’m a contemporary realist painter and paint in a traditional, representational style. 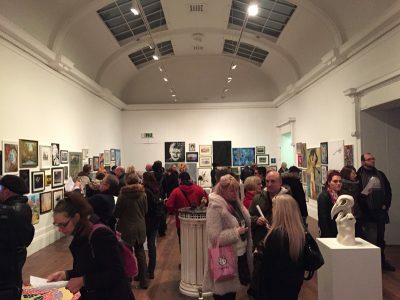 I can capture the essence of a place with energetic alla prima portraits or paint in an academic style to bring a highly detailed and refined finish to a painting. I enjoy painting entirely from life using traditional and classical painting techniques but can also work from photographs if the piece is a surprise gift or painting on location isn’t possible. My portraits are a collaborative process and as a client your comments and feedback are key as the work develops. 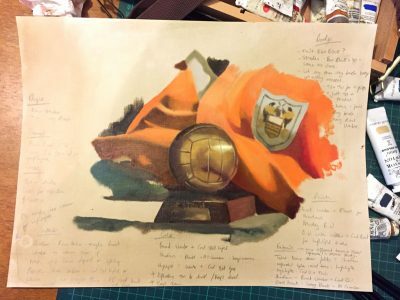 Alternatively, read on to find out more about the commission process and see examples of house portraits and a price guide. 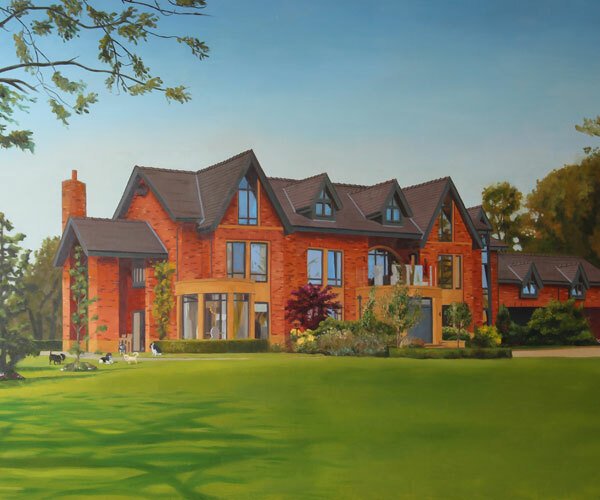 Contact the artist to discuss your house portrait requirements. “What an incredible talent! We wanted something unique to remember our special day and a painting of the church where we were getting married was perfect. A stunning building, beautifully realised. Having a house portrait painted from life is a memorable experience. 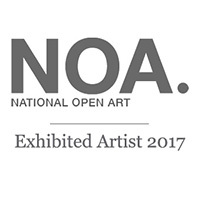 You’ll gain an insight into the world of a fine artist and learn about the methods involved in painting plein air. My approach is flexible and designed to work around you. Depending on the finish you desire I can either complete the house portrait entirely from life or make sketches and take reference photographs to work from back at the studio. 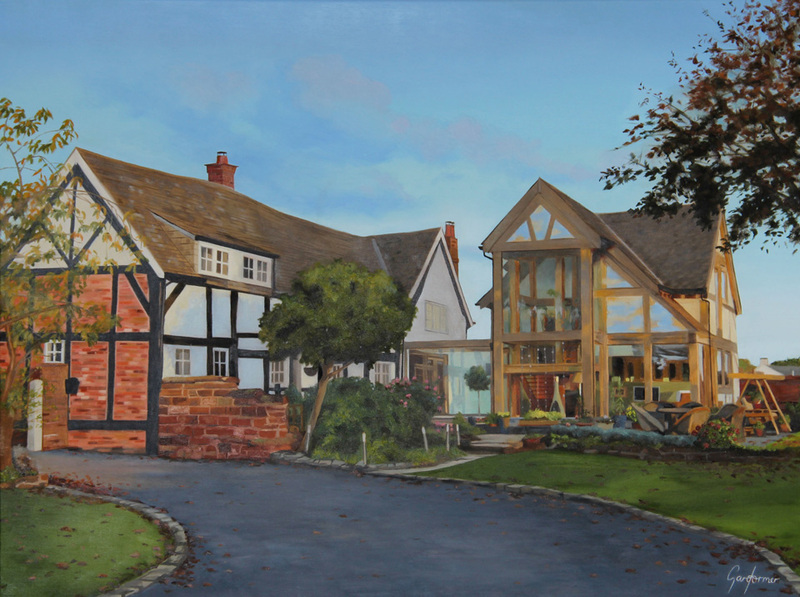 Sometimes it’s not possible or practical to paint on site, for highly detailed house portraits or surprise gifts for example, in these cases I can paint your house entirely from photographs. 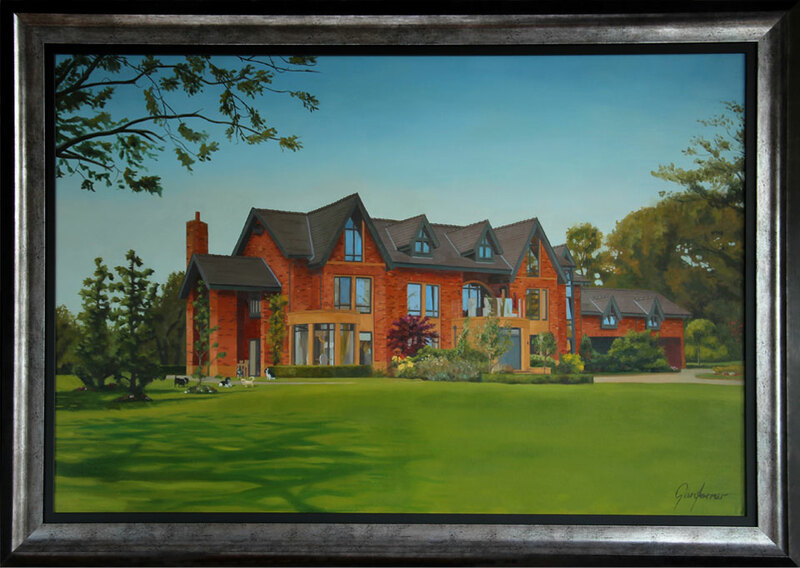 Throughout the process I can advise on framing and final varnishing and when the house portrait is complete will organise a delivery at your convenience. 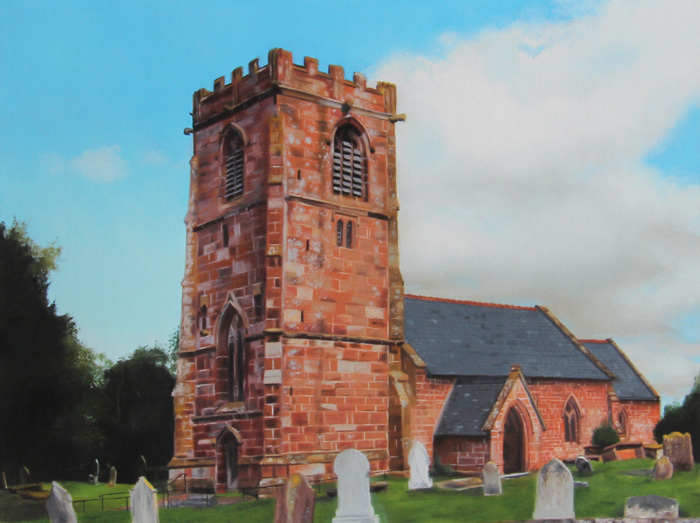 My paintings are typically finished with a protective coat of retouch varnish and I can hand deliver works and perform an unveiling – a nice touch for special occasions or gifts. After completion and delivery of the painting I’m only a phone call away to answer any questions and give advice to help you look after your special piece for years to come. An academic house portrait is a painting that is typically built up in multiple layers of oil paint and taken to a highly rendered finish. The academic house portrait option is great for those looking to invest in a spectacular painting as an extra special gift or to mark a celebration such as an anniversary, birthday or retirement. An academic portrait can take weeks and sometimes months to complete and so while some of the piece may be painted from life, photographs are used as reference for the majority of the process. The starting price of £2,000 gives a guide for commissioning an academic house portrait. Please note that the cost can be higher for paintings with exceptionally detailed backgrounds or features. If required, framing, varnishing and any expenses such as travel and accommodation are charged in addition to these costs. Wherever possible I try to include delivery within the prices provided. The alla prima option is a great way for someone to commission a house portrait but without the time commitment and higher costs of the academic portrait. 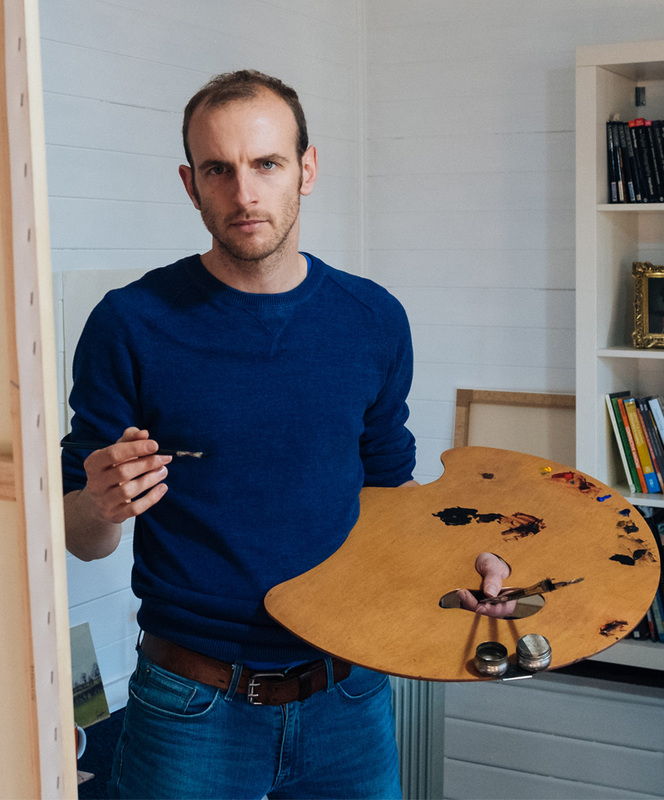 The £850 starting price give a guide for commissioning an alla prima house portrait. 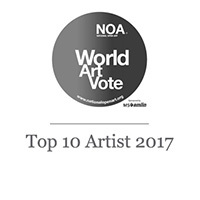 The majority of my works are realist fine art oil paintings on canvas created entirely from life or from a combination of studies and photographs taken during live sittings or situations. As well as completing house portrait commissions I also paint portraits, landscapes and still life paintings with a selection of recent works available to buy direct from my online shop. Not Ready to Commission a Painting Right Now?